Rapper Cardi B (real name Belcalis Almanzar) has climbed her way to the top of the music charts thanks to her smash hit "Bodak Yellow." While other artists are concerned about maintaining a prim and proper image in front of the media, the Bronx native has been praised for always speaking her mind. Her no-filter approach to living life has tossed her into the center of plenty of controversies. Let's take a look at the shady side of hip hop's reigning queen. Cardi B was gaining fame and notoriety online long before she launched her music career. She built a big following by age 18 dancing in clubs in New York. After racking up hundreds of thousands of followers on Vine and Instagram, she hired a social media manager who convinced her to start rapping. According to Fader, her manager noted that "her speaking style in certain scenarios—like when she yelled at a dude on the phone, for example—were proof of a unique voice." 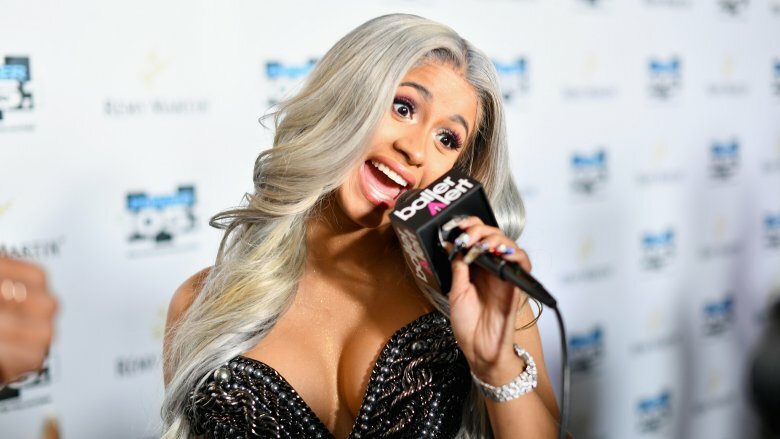 Cardi B remixed her life experiences into tracks and released her first freestyle right before she joined the Season 6 cast of VH1's Love & Hip Hop New York. The breakout star of the show, her hilarious gifs and memes spread like wildfire, and it wasn't long before the series became her launching pad for international acclaim. While plenty of rappers struggle to make it big in the industry, some say Cardi B had it easy. According to Fader, "Many people—fans and industry—treat her like a dilettante" who didn't pay her dues. That assessment isn't lost on the young star. "And then I gotta tell myself, Stop feeling guilty. You worked for this," she told the magazine. "When I was a stripper, I used to strip like six nights a week. I used to bust my a**. And I didn't stop [working]. Until today I work just as hard as I did before." 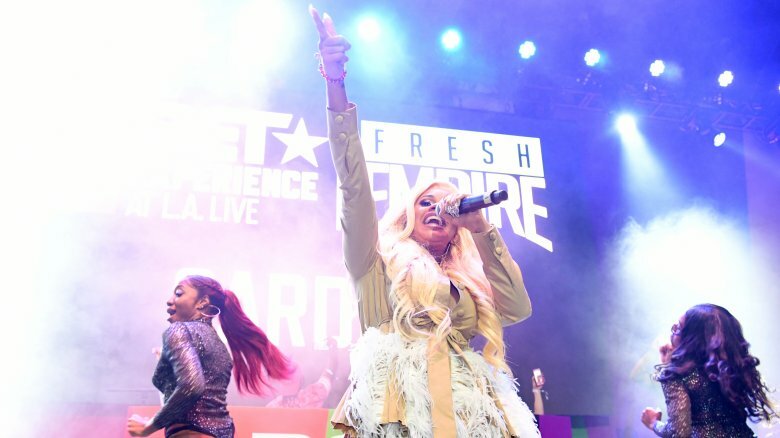 Despite releasing songs with catchy lyrics and head-bobbing beats, critics have accused her of stealing other rappers' flows. Her most popular hit, "Bodak Yellow," was reportedly inspired by Kodak Black's 2014 track, "No Flockin." When confronted with such allegations, Cardi B has had no problem fessing up to biting the style of other popular artists. During one of her shows, the rapper made it clear she doesn't care if people think she copied Kodak or Meek Mill or Migos. "So what b**ch? So what?" she told the crowd (via Billboard.) "I'ma sound like all your favorite rappers. I'ma take all they flows and I'ma body it b**ch." This leaves many to wonder if she'll continue to be successful despite her admitted lack of originality. Playing nice isn't on her agenda. While some new artists go out of their way to make sure everyone likes them, Cardi B is the exact opposite. There have been longstanding rumors that she had beef with Nicki Minaj, though both emcees have denied any bad blood between them. One feud Cardi B will speak to involves an unnamed person who never liked her but suddenly wanted to be her BFF. As the rapper took the stage at the MoMA PS1 Warm Up event in August 2017, she unleashed an expletive-filled rant to let the mystery woman know they would never be friends. Did she lie about an incident with police? In September 2017, Cardi B took to Twitter to accuse a New York City cop of putting her in a chokehold and slamming her against her car. In the since-deleted tweet (via TMZ), she called out the NYPD and bashed the department for allegedly not doing its job. 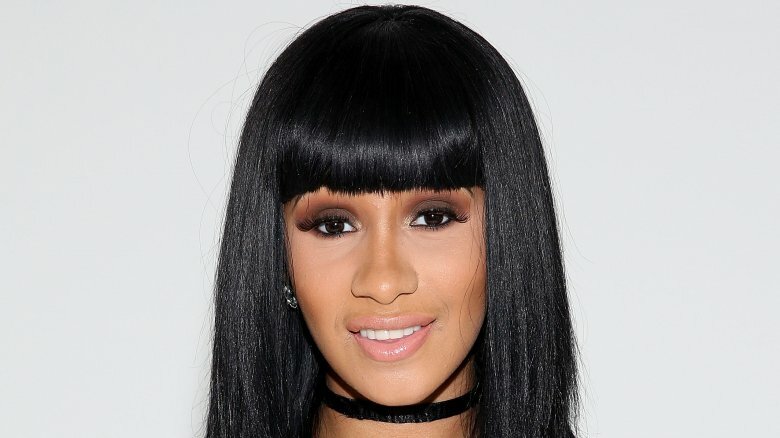 According to sources for TMZ, another driver hit Cardi B's Bentley SUV. She got out and started arguing with the other driver, and that's when the police got involved. 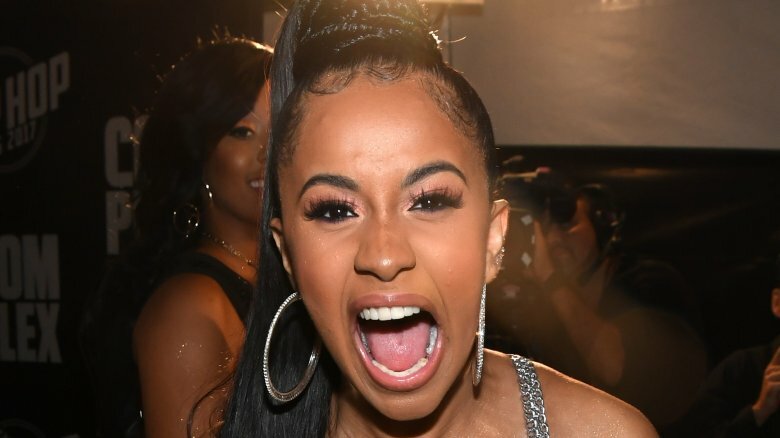 Cardi claimed an officer, who was reportedly white, roughed her up but eventually let her go. When the NYPD looked into the allegation, it couldn't find any information about the incident, reported TMZ. Police reportedly checked surveillance videos in the surrounding areas and still couldn't find anything to support the rapper's claim. When Cardi B subsequently clammed up, authorities began to doubt anything inappropriate had happened, reported TMZ. With success comes the possibility that people will be out to get you, and Cardi B believes she was targeted by a racist hotel in Albany, N.Y. According to the Times Union, the Hip Hop star booked a room at the Albany Hilton after one of her shows, but other guests complained about noise around 1 a.m. Hotel staff reportedly smelled marijuana, and management asked the rapper and her crew to pack up their things and leave. After getting the boot from her accommodations, a video of Cardi B leaving the hotel was posted online. In the footage, she calls a staff member a "racist motherf***er" and says "Albany is known for being racist." She later deleted the video from her Instagram account. Cardi B's music video for "Bodak Yellow" has amassed hundreds of millions of views on YouTube, but not everyone is dancing and singing along to the hit record. The rapper has been accused of cultural appropriation due to questionable scenes and imagery used in the video. In one scene, she's dressed in an abaya and headscarf–religious garb worn by Muslim woman. 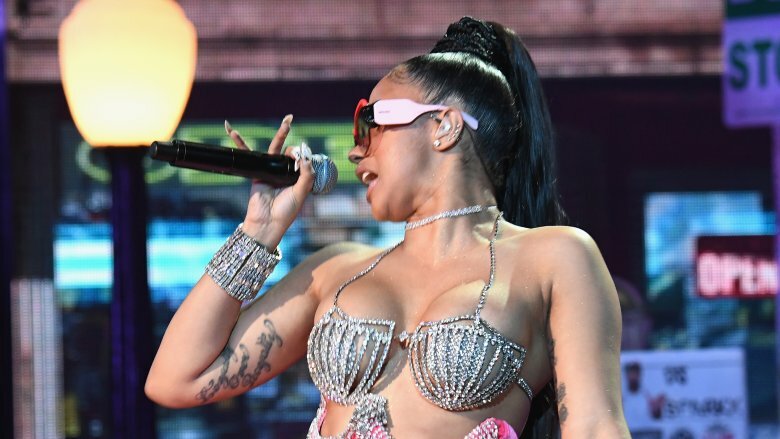 "Cardi B is not in any way connected to the Arab heritage or the Middle East: she's from Trinidadian and Dominican descent," said an op-ed for Refinery 29. "There's no reason for her to evoke Middle Eastern imagery in her video except to play dress up, and in a way that perpetuates harmful preconceived notions of the region." As soon as she made her way from an underground artist to mainstream media's favorite star, it didn't take long for internet sleuths to dig up some dirt from her past. 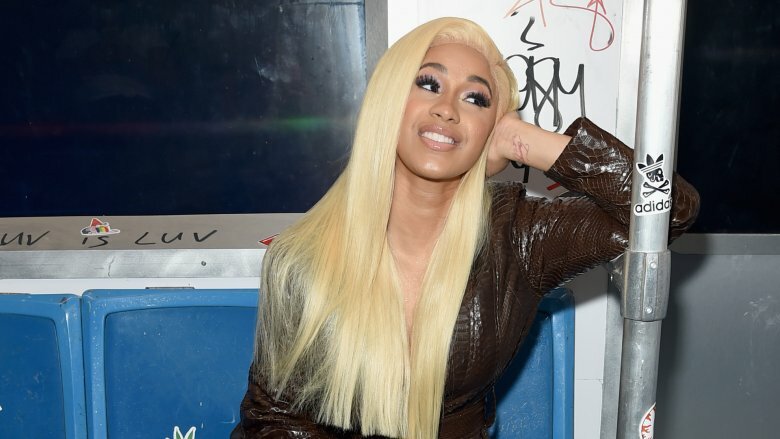 In some shady tweets, shared by BET, Cardi was blasted for calling dark-skinned black women "roaches." 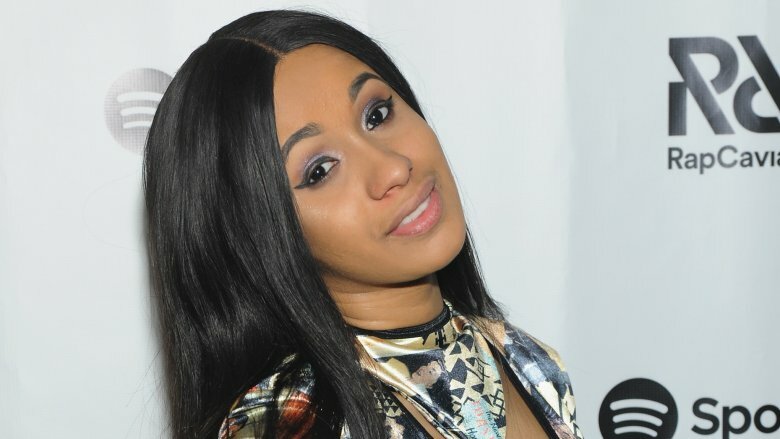 Following an online campaign to "cancel Cardi B," the rapper responded by making light of the term "roach," saying she even uses the word to describe herself, noting that it's supposedly a popular term in her neighborhood. Her explanation didn't change the fact that many believed she used the word to degrade women of color. When Cardi B stepped out with Offset from the rap group Migos, they instantly became a hip-hop power couple. Initially, she tried to keep their relationship private, but it didn't take long for her to allegedly use her love life to attract attention online. 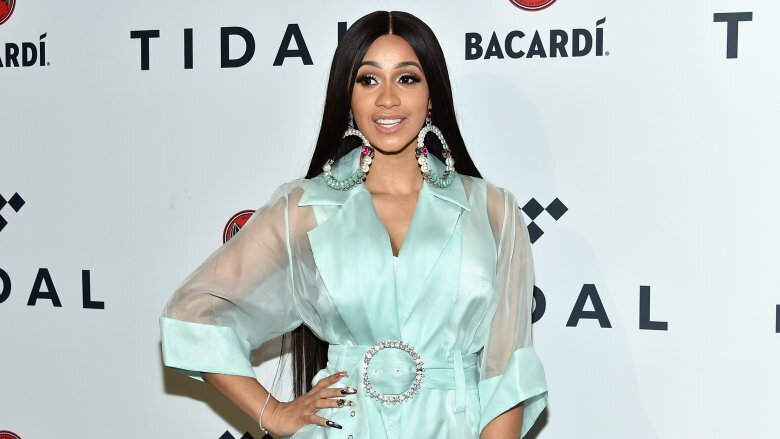 In October 2017, over a span of about ten minutes, Cardi B posted a series of messages on Snapchat that "turned the internet upside down," according to BET. The back-to-back posts alluded to her and Offset calling it quits and included Cardi B throwing up deuces and a "single" caption while Offset reportedly responded with a middle finger emoji. 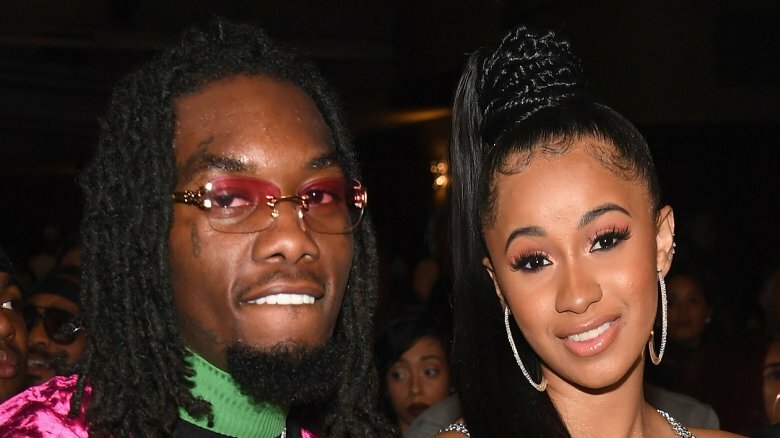 While their fans and a sizable segment of the world wide web began to freak out over their breakup happening in real time, Cardi B soon waved the white flag, apologized to Offset for overreacting, and offered to treat him to a meal at Waffle House. She later took to her Twitter to admit their argument was sparked by her accusing him of stealing her purple blanket. Days later, Offset put an 8-carat diamond engagement ring on her hand, leading many to deduce that their lovers' quarrel was nothing more than a publicity ploy. Calling women roaches wasn't the only comment that Cardi B caught heat over. She also made a cringe-worthy video in which she threatened to get her cheating man drunk and let a transexual take advantage of him. She uses a derogatory word for "transexual" during her rant. 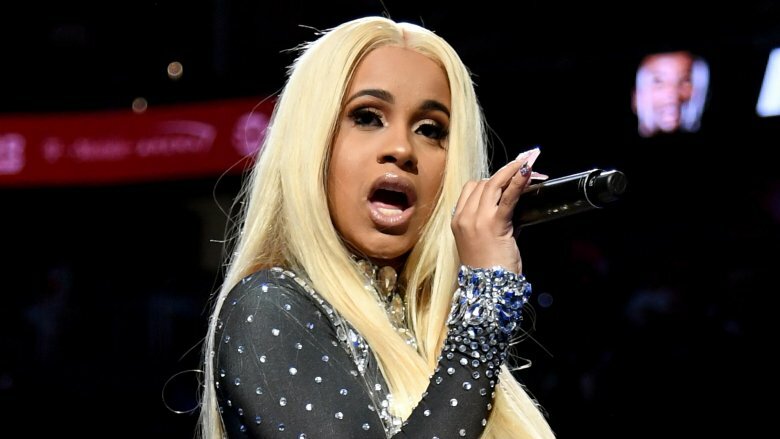 Cardi B later tweeted that she didn't know the term she used was socially unacceptable, but that excuse didn't shield her from being labeled transphobic. Not that she seemed to care, telling haters to "stfu with the bulls**t" on Twitter. Cardi B has made it very clear that she's been a member of the Bloods gang since she was 16-years-old, and she unapologetically raps about her "bloody" affiliation in "Bodak Yellow." 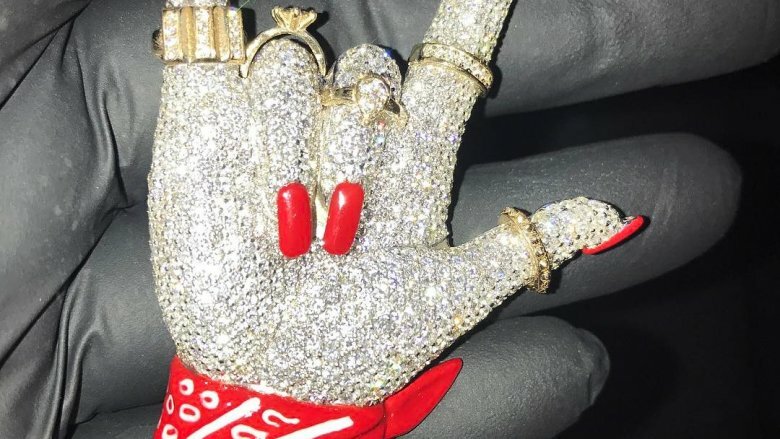 The rapper even received a special gift from Offset–a blinged-out necklace decked out with red nails and a red bandana tied around the wrist to pay homage to her gang ties. Launching a violent attack is never something to be praised, though some cut Cardi B some slack when she instructed New York gang members to band together against White Nationalists. After supposedly hearing that Neo-Nazis were planning to hold a rally, she posted a special message to "every Brim set, Stones, Blazers, Trey" and even her rival Crips to join forces. She even gave instructions on how to get to the rally by telling folks to take the "Metro North" railway to the location and "put ya Timbs on." Perhaps she was advocating for notoriously violent gangs to assemble for a peaceful protest? Yah, perhaps.